— billboard (@billboard) 17 октября 2018 г. — Beats 1 (@Beats1) 17 октября 2018 г. — James Haarsma (@iamjameshaarsma) 18 октября 2018 г. 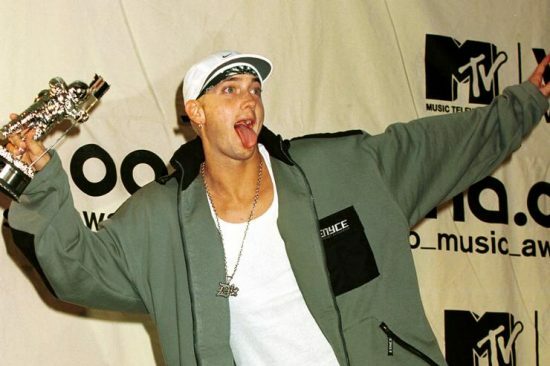 Happy 46th Birthday, @Eminem ?? — DatPiff (@DatPiff) 17 октября 2018 г. — HORSESHOE GANG (@HORSESHOEGANG) 17 октября 2018 г. — Twitter Music (@TwitterMusic) 17 октября 2018 г. — MTV EMA (@mtvema) 17 октября 2018 г. — Bizarre D12 (@bizarresworld) 18 октября 2018 г. — Crooked Icon (@CrookedIntriago) 17 октября 2018 г. — Page Kennedy (@PageKennedy) 17 октября 2018 г. — DJ SALAM WRECK (@SalamWreck) 17 октября 2018 г. — BRIT Awards (@BRITs) 17 октября 2018 г. — BET (@BET) 17 октября 2018 г. — spooky loren (@beechloren02) 17 октября 2018 г. — Complex Music (@ComplexMusic) 17 октября 2018 г. — 50cent (@50cent) 17 октября 2018 г.
Joyeux anniversaire au #RapGod @Eminem ! ? Pour fêter ça, on vous offre des packs vinyle de #Revival + Album #Kamikaze. ? — Polydor (@Polydor) 17 октября 2018 г. — Duck Down Music Inc. (@DuckDownMusic) 17 октября 2018 г.